It is now ten years since the Pope John Paul II Award was launched in Ireland. The award has been introduced in 21 Irish dioceses and to two in England. We have to date 25, 000 young people who have participated in parishes throughout all of our dioceses. 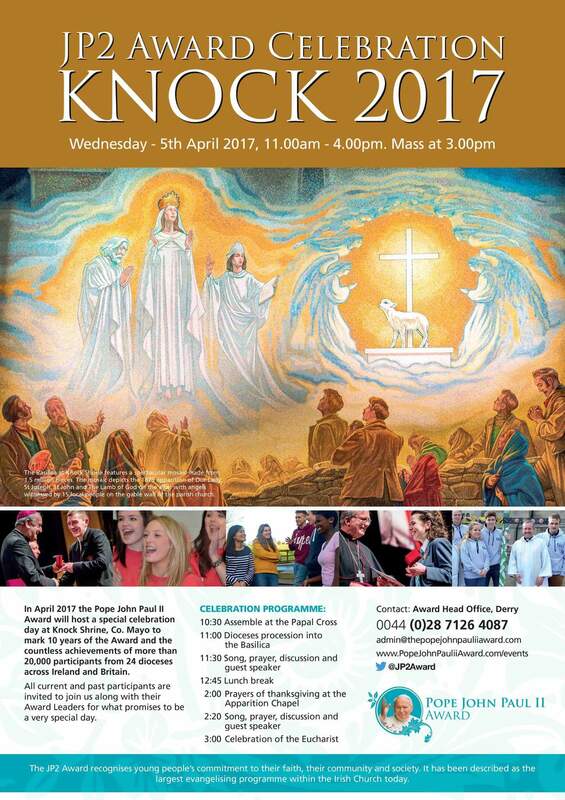 To mark the 10th anniversary…..
A very special event will take place at Our Lady’s Basilica, Knock on Wednesday 5th April for all our current participants, award leaders, parish representatives, Bishops, priests and religious. This is a national event including music, reflection, guest speakers, and will conclude with a Mass of thanksgiving. It promises to be a very special day.